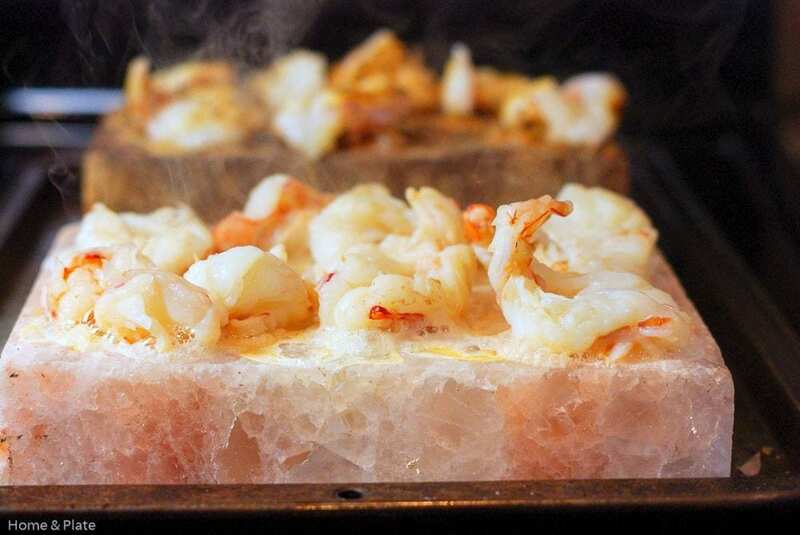 Salt block seared shrimp is the easiest way to cook shrimp with only one ingredient required. All you need is a salt block and an oven! Have you ever cooked on a salt block? A salt block literally transforms the taste of anything you cook on it. 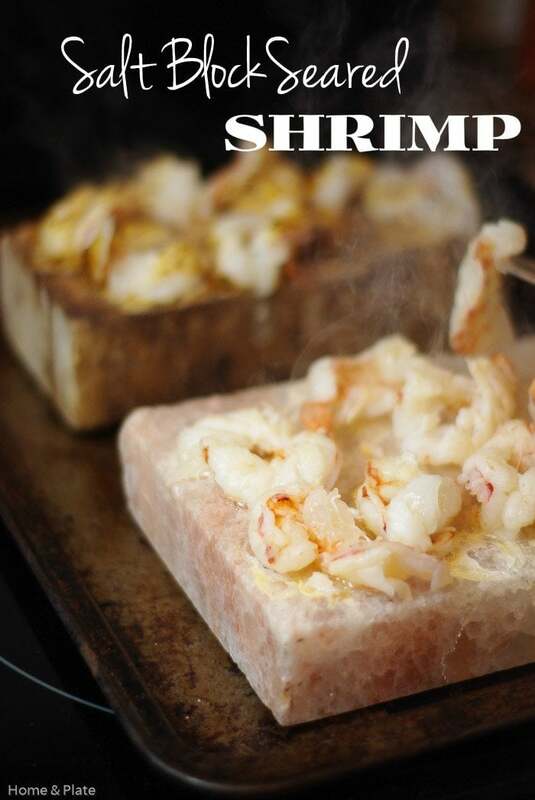 For this simple shrimp recipe all we did was add shrimp to a hot salt block. It’s that easy and that delicious. A salt block is literally a slab of pink Himalayan salt mined from million year old salt mines in Pakistan. It’s the latest trend in cooking. I didn’t know what a salt block was until my neighbor introduced me to it. 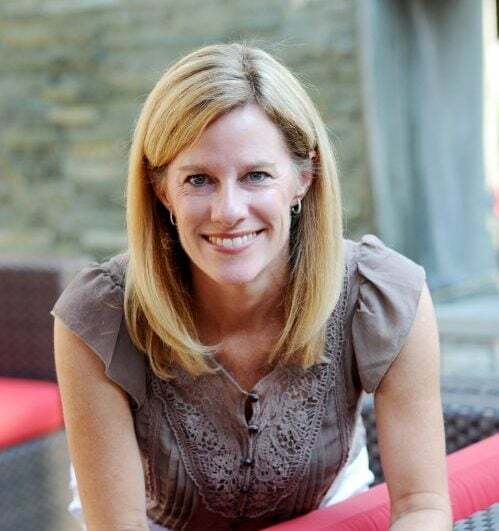 She had purchased a salt block after dining at the upscale and prestigious Salt restaurant in Amelia Island, Florida. It retains hot and cold temperatures evenly and for a long time. For dinner, use it to sear shrimp, scallops, chicken or steaks. I can’t wait to see try my hand at asparagus on the block. It can also be used cold as a serving platter for cheeses and fruits or even shrimp cocktail. Or try your hand making ice cream. Most home stores carry salt blocks and they make great gifts if you’re looking for something unique and one-of-a-kind. You may want to even pick up two salt blocks so you can always have one that can be used for cold dishes because once you use it hot it cannot be then used cold. Also be sure to pick up a copy of Mark Bitterman’s “Salt Block Cooking” to go along with your salt block because there is a lot to know about cooking with salt blocks. Have you used a salt block? What’s your favorite thing to cook on the block? Place your salt block on a cookie sheet or salt block holder and place into a cold oven. Preheat your oven to 150°F. Once preheated leave it in the oven for 15 minutes. Then increase the heat to 250°F and allow your salt block to heat up for another 15 minutes. Follow this pattern increasing your oven temperature by 100 degrees and allowing your salt block to heat up for 15 minutes before increasing the temperature. Once you reach 450°F allow yourself block to continue heating at this temperature for another hour. Now you're ready to cook the shrimp. Place your peeled and deveined shrimp on the salt block and allow it to sear for about 5 minutes. Flip your shrimp and sear the other side for five minutes or until your shrimp is pink and cooked. 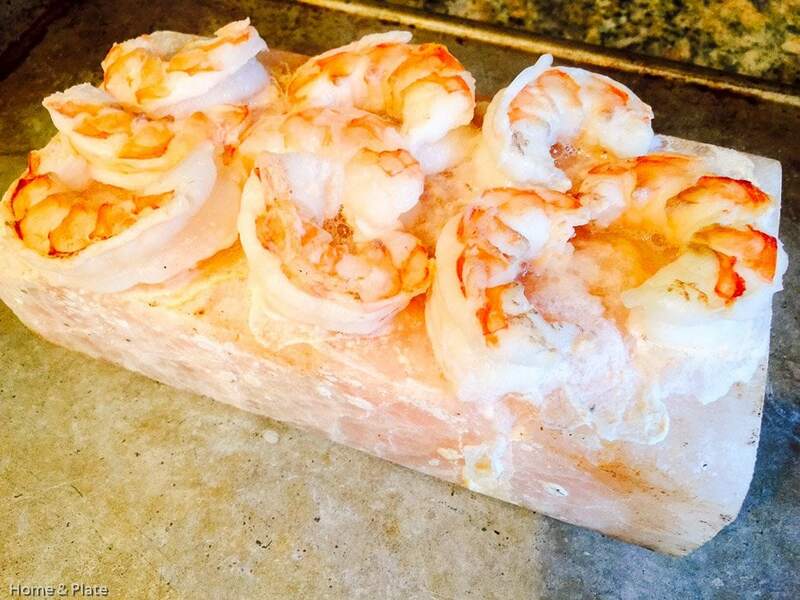 Use caution removing the shrimp from the salt block – it will be smoking hot. 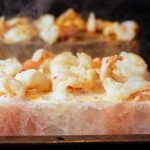 If you plan on using your salt block for searing a large quantity of shrimp be sure to reheat your salt block so it's good and hot or finish cooking your shrimp on the salt block but in the oven at a lower temperature, like 350°F until pink and done. Allow your salt block to cool completely before cleaning it. Do not run it under water. I use a wet vegetable brush to scrape off any bits and this removes any remnants from the previous meal. Be sure to store your salt block in a cool dry spot. This is super cool! Love the idea of the salt block!! I recently heard about salt blocks for the first time and really want to get one! 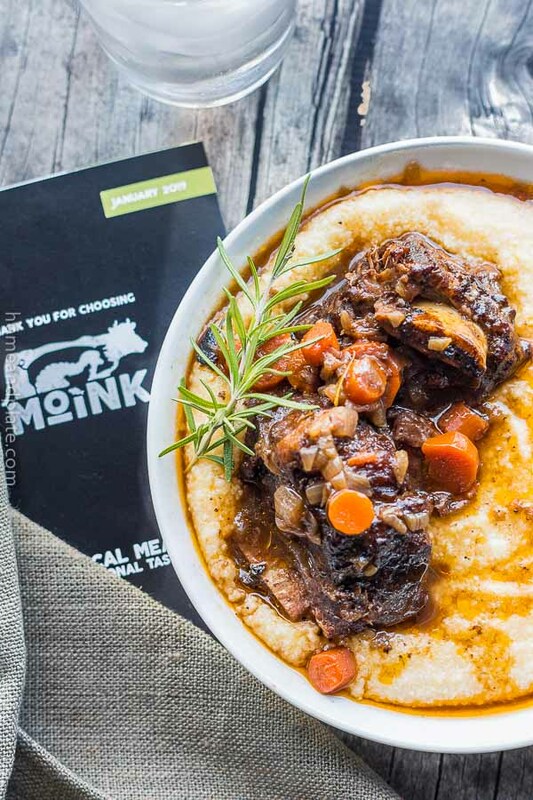 When I do this recipe looks like a must-try! So fun to use. This is a perfect first recipe to try it out on. What a creative cooking method – I saw a salt block at the store the other day and had no idea what it was for! It’s been fun using it. It is certainly a topic of conversation when you bring it to the table. I never cooked this way before but I will admit, my birthday is coming up and I may have found my gift! Thanks so much for sharing! Sure thing Kacey. It transforms the flavor of anything you put on it. Enjoy. How fun! I’ve had a block on my wish list for awhile but haven’t pulled the trigger. This makes me want one even more! I found the directions confusing…after heating the block in the oven at 450 degrees for an hour is it then left in the oven, and the shrimp consequently baked on it IN the oven, still at 450 or is the oven turned off…or…what?